Treachery is hot right now. From party games like Resistance and Saboteur, to video games like Nine Hours, Nine Persons, Nine Doors and Danganronpa, players have really embraced the surprise and satisfaction of the “find the traitor” experience. 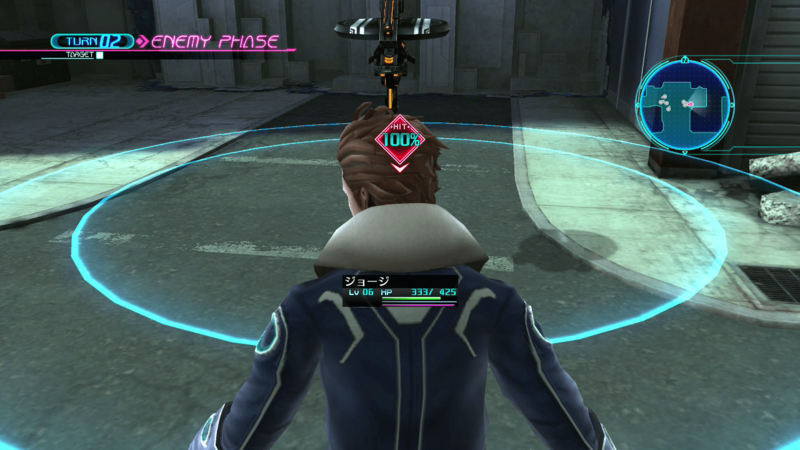 Yes, Lost Dimension is landing in fertile soil. The game is a tactical RPG dungeon crawler, following 11 psychic soldiers that have been hastily assembled to stop a villain named “The End” from bringing about—you guessed it—the end of the world. Soon after you storm his tower, The End plants a seed of doubt within the group: there are traitors among you. 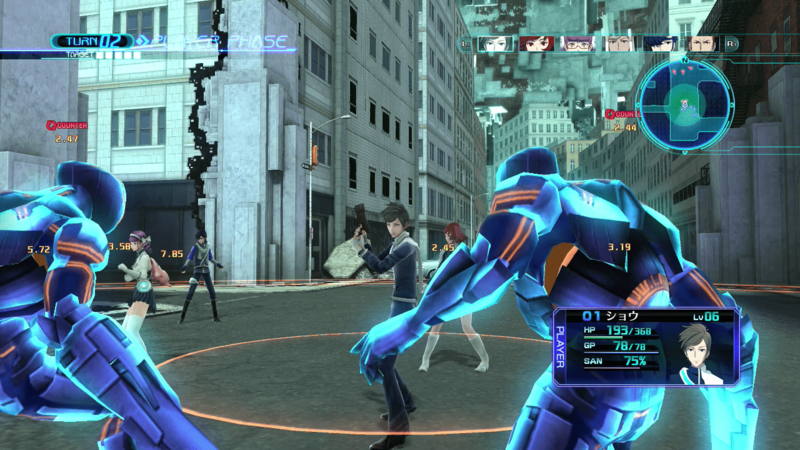 Lost Dimension plays up the theme of trust in both narrative and gameplay. You must periodically root-out and execute the traitors within your dwindling group, while at the same time building friendships to enable much-needed “assist” attacks. In practice, though, trusting any character is futile: the traitors are random and change with each playthrough. That means you won’t see a betrayal coming a mile away, even on a second or third time through, but you’re also robbed of the fun of trying to predict who will stab you in the back and why. For each floor of the dungeon, the game invisibly marks three characters as possible traitors. The protagonist, whose unique psychic gift is “vision,” will hear the jumbled thoughts of his squad mates after every mission. Based on the whisperings, you can determine how many possible traitors are in your active party. Therefore, in order to isolate these three, you have to harken back to the classic code-breaker game Mastermind, trying different combinations of party members to see how that affects the whispers. This is a clever mechanic that ensures you try out each of the different characters and their unique gifts in combat and don’t just stick to your favourites. 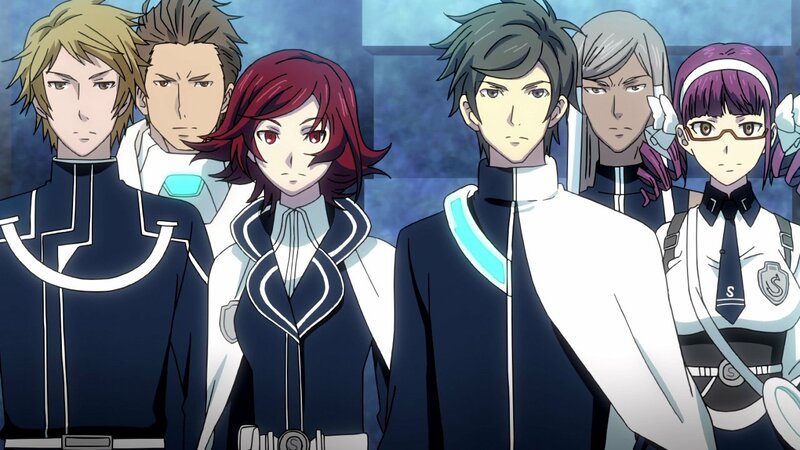 The investigation mechanics work well, but the themes of trust and treachery depend on good characterization to be effective, and that’s where Lost Dimension stumbles the most; the writing is extremely blunt. Each character has one and only one personality trait (the fiery redhead, the logical doctor, the spunky schoolgirl) and always spells out exactly what he or she is going through. For instance, one character (the arrogant hothead) has no psychic gift of his own; instead, he copies those of others. Rather than give hints about the root of his anger, the character comes right out and says: “I think I was self-conscious about not having my own identity. I think I hurt others just so I could leave my mark.” There’s no development leading to this revelation, either. After gaining enough camaraderie points and having enough “I’m mad at The End!” conversations, he simply has an epiphany. Lost Dimension’s combat provides a stiff challenge, so you may be tempted to let a powerful character live, even if you have your suspicions. Though you can pass-on certain skills from dead party members, each character has truly unique gifts. You’ll definitely feel it if you lose the only natural healer early on. This adds a great bit of tension to the decision. Still, a word of warning: though you face no immediate consequences for axing the wrong characters, it will come back to haunt you. 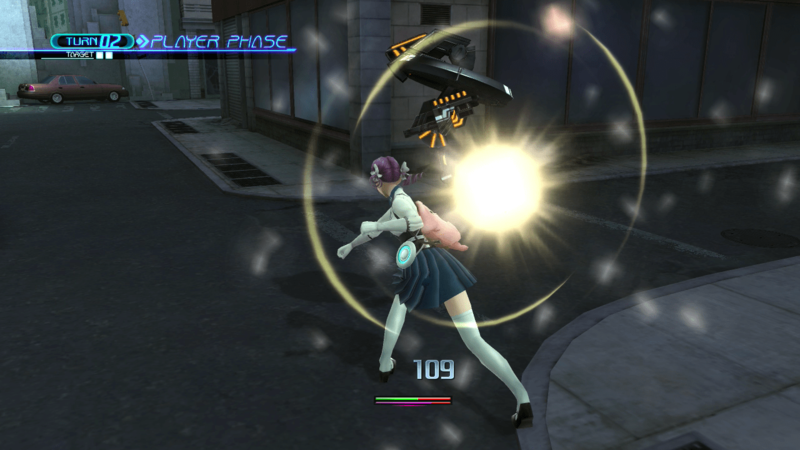 It’s not as bad as the dialogue, but the combat in Lost Dimension can be monotonous. Enemies come in three flavours: humanoid, flying drone, and mecha tank. While there are a few variations on each (exploding drone, flame-throwing humanoid, floating tank), it’s not enough to keep things mechanically or aesthetically fresh. Their AI is also pretty sad: enemies will often get stuck trying to move past each other and have no regard for friendly fire. The different maps (and the characters’ initial placement on those maps) definitely help mix things up. Yet, the goal is almost always the same: group up your allies and hunt down enemies before they can do the same. Because of the “assist” system—in which fighters get extra attacks if they’re in range of allies—there really is no other viable strategy. It would have been fun to send high-mobility characters to harass enemy flanks or to corral baddies into one place and burn them down with area-of-effect abilities. Sadly, that would be suicide in nearly every case; the numbers just don’t add up. There’s a host of minor annoyances as well. Characters blurt out a line like “I’ll tear ‘em apart!” or “Teeheehee” every single time you switch to them. This happens dozens of times per mission, and scrolling through characters causes a cacophony of catchphrases. The game also never explains what the various stats actually do. Does dexterity affect accuracy? Critical-hit rate? Dodging? Range? Damage with ranged weapons? Mankind may never know. 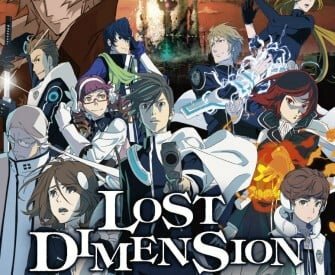 Players who grow bored with Lost Dimension may stick it out just to see how the mysterious plot gets resolved, yet the game has the indecency to withhold those answers. Completing the story once only gives you cryptic nonsense and half-truths, demanding you reach maximum camaraderie with each character before unlocking the true ending. Given that you are forced to axe several characters in the early stages, that means you’ll have to play through the game at least one more time. You may even have to sabotage yourself by ignoring a known traitor just so you can get more time with them. This is a pretty risky attempt at replay value. Whether the game earns that much patience will depend on how taken you are by the inventiveness of its betrayal mechanics. Certainly, the game’s writing and combat are mediocre. That said, there’s still nothing exactly like Lost Dimension on the market. If you want a dash of intrigue in your dungeon crawler, you may want to see this one through to The End. Lost Dimension’s combat provides a stiff challenge, so you may be tempted to let a powerful character live, even if you have your suspicions.